Rick is back at his alma mater, the Rochester Institute of Technology, serving in the Saunders College of Business creating a Cybersecurity Management minor within the Management of Information Systems program. Rick also teaches the courses "Building a Web Business" and "Systems Development for Web," covering the non-technical and technical topics of website development, digital products and sales, online advertising and marketing, social engagement and business blogging. 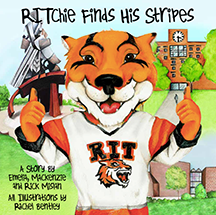 Along with his daughters and illustrator, Rachel Bentley, he has also authored a children's book about RIT's mascot, RITchie, who he named back in 1989. Through his digital development group, Rick provides dynamic business solutions for numerous corporate customers. Prior to his work at RIT, Rick created the academic world of Mobile Forensics while a professor of Purdue University's Polytechnic Institute from 2005 to 2012, where he also created the annual Mobile Forensics World Conference. Rick's areas of research include Small-Scale Digital Device Forensics, Mobile Security, and Information Assurance and Security. He was also a faculty member with the Center for Education and Research in Information Assurance and Security. Previously at Ferris State University (2000-2005), Rick taught graduate and undergraduate courses in Information Assurance and Security, Network Management, Intelligent Agents, and E-Business Strategy. Rick also served as a Technology Director and Educator for various school districts, a Communications Electronic Warfare Officer for the U.S. Army, and a Radio Disc Jockey. He has authored numerous articles in the area of Small Scale Digital Device Forensics, created the Small Scale Digital Device Forensics Journal and the Mobile Forensics World Conference, and acts as a reviewing editor for the National Institute of Standards and Technology (NIST) on Guidelines for Mobile Device Forensics, Guidelines for Cellphone Forensics, Guidelines for PDA Forensics, Cell Phone Forensic Tools, and PDA Forensic Tools. 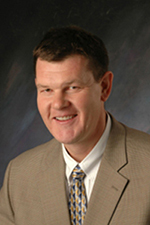 As a consultant, Rick also works with state and federal agencies in Mobile Device Forensics and Security. © 2019, Dr. Richard P. Mislan. All Rights Reserved.